Participants must be registered as a member of the Facebook. Participants must first click the ‘Like’ icon on the NESTLÉ JUNIOR CLUB Fanpage at https://www.facebook.com/NestleJuniorClub and register as a member. Participants are required to look out for wall post that calls for entry of this Contest posted by Nestlé Junior Club on the Nestlé Junior Club Facebook Page. Participants may then submit a recipe and a photo of the food they have created. The recipe and food photo must be submitted via a wall post comment that ends with #YummyCerelac on the wall post. Recipe and food photo submission with the same #YummyCerelac via Twitter and Instagram is allowed. Participants should not submit any photo that contain child who are below the age of 6 months old and above 24 months old or contain any infant formula product or milk bottle. Participants may submit recipe and food photo for any of these two categories. Three  winners will be selected each week by a panel of judges based on originality, colour/texture, taste and nutrition value submitted to the Contest theme. All weekly winners will be in the running for the grand round prizes and stand to win the Grand Prize, 2nd Prize or 3rd Prize. 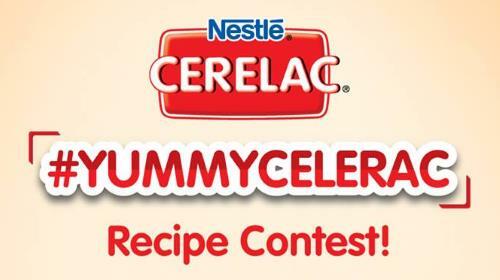 Visit NESTLÉ #Yummycerelac Contest for more details.